Complaining about the film world’s lack of originality and daringness would feel shameful if it wasn’t so damn easy to find reasons to grumble. And the last 10 years, which have seen a multitude of trends come and go, A-list movie stars continually fail to open non-franchise movies, and the box office dominance of one Harry Potter, have given us plenty reasons to criticize. For instance, we’d need at least four hands to count the number of lifeless and inept horror remakes that genre fans have been assaulted with, and you know it’s slow creatively in Hollywood when Spider-Man gets completely rebooted (with this summer’s The Amazing Spider-Man) a mere five years after a $337-million-earning sequel (2007’s Spider-Man 3). As you can tell, though, it’s a celebration around the Complex offices these days, after 10 years doin&apos; it, and doin&apos; it well, and when it came time to reflect upon the films that best represent our brand’s decade-long run, one fact became clear: For all of the whining movie purists do these days, those of us who painstakingly seek out quality over instant accessibility have more cause for elation than bitching. Thanks to names like Judd Apatow, David Fincher, Daniel Day-Lewis, and Joel and Ethan Coen, as well as sick genre purveyors from countries such as France and Spain, the last 10 years have collectively been catnip for us reel folks. 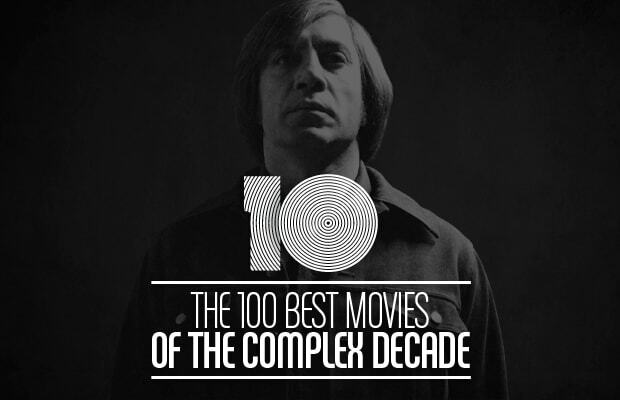 See for yourselves as we count down The 100 Best Movies Of The Complex Decade.